Last modified on March 31st, 2014 by Joe. 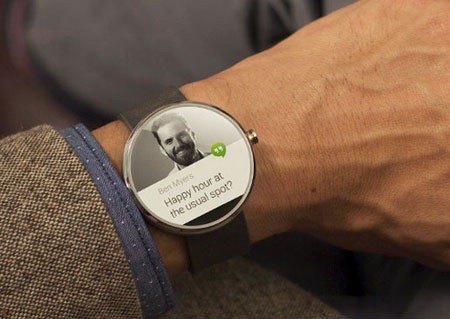 Android wear is a platform by Google for wearable devices. It was launched yesterday. For now it is for watches and later it may expand to other wearable like shoes, pen, etc. The Youtube video showcasing the features of Android Wear by Google is mind blowing. It is game over for all other smart watches out there. The End. Android wear is simply amazing. Pebble, Samsung and Sony were the early entrants in the smart watch world. They are all going to be in serious trouble. Android wear is not a separate operating system by itself, it is extended from Android which makes it invincible. I am really excited because it opens up innumerable possibilities for innovation. The best thing is, Google has opened up the platform immediately with a developer preview. We got an emulator for Android Wear in the SDK update. 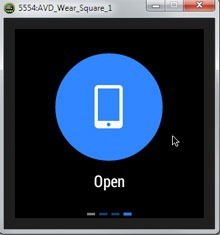 In this tutorial, I am will walk you through to setup the development environment to start programming for Android Wear. 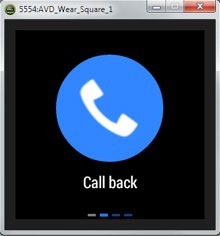 We will also see how cool the notifications are in the Android Wear emulator. Android Wear was launched just yesterday and I have spent only one night with it yet :-) if you notice any errors in this tutorial, please post a comment to fix it. 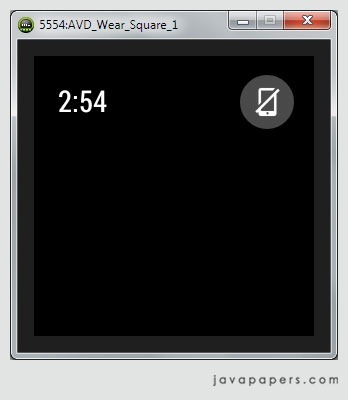 An Android emulator to run the Android Wear platform. 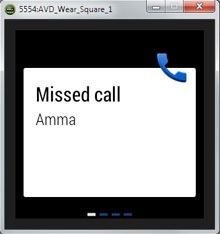 We can connection our Android device to that Android Wear emulator and see the notifications in it and act on it. We get a support library with preview API using which we can enhance our Android apps to be compatible for Android Wear. Signup for Developer Preview with Google. Once you signup Google will take some time to approve the request. 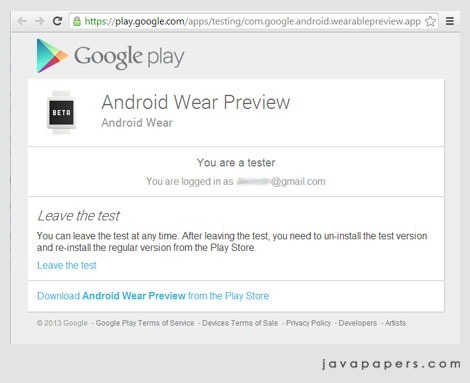 After approval you will get a link to the ‘Android Wear Preview’ app from Google Play store. 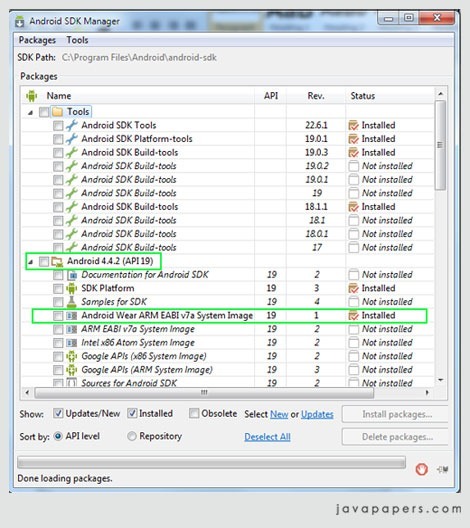 To setup the Android Wear emulator install the latest Android API and updates (API 19 required) lineup in the Android SDK Manager. Remember to install the ‘Android Wear ARM EABI v7a System Image’. 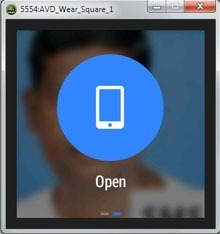 Then create Android Virtual Device (AVD) for Wear using the system image just updated. 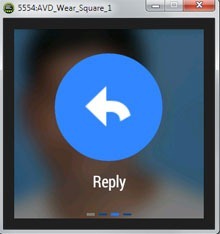 There are two skins available for the Android watch round and square. I have chose square watch. Once the Wear AVD is created, launch that and keep it ready. 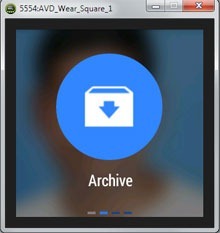 Wear display will show a clock and a disconnected mobile icon to indicate that this wear is not paired with an Android device. If everything is right, you should get the following image. Lets connect our Android device to the computer via USB. In my case, I am using Google Nexus 4 mobile. You need a device with Android 4.3 or above. As per Google, we cannot do this device part with an emulator and we need a real Android device. 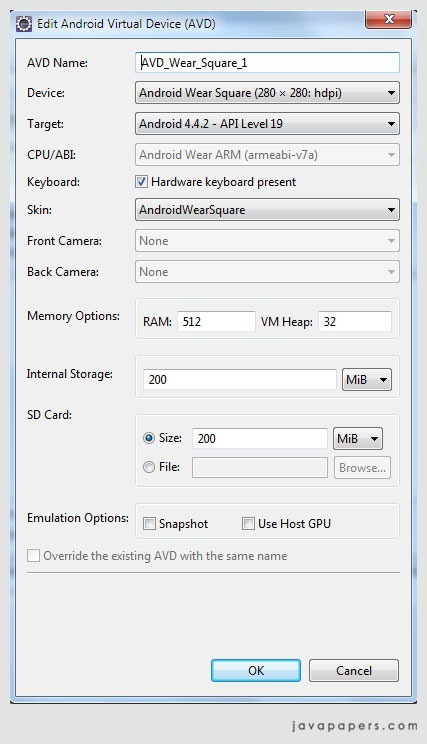 After connecting the mobile with the computer, to pair the mobile with wear AVD, run the following command in command prompt at Android SDK directory/platform-tools. If you get “error: device not found”, then the Android device (mobile) is not properly setup with the computer for debug and its not visible for ADB. You may have to enable the USB debugging mode in developer options, install the right USB device driver. 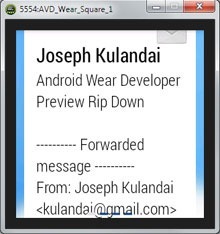 Install Android Wear Preview app from Google Play store. Link to this will be enabled after you are an approved developer for Android Wear. Open that app and it should say connected. 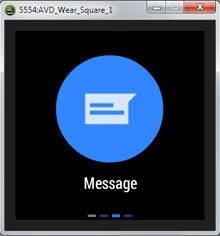 Once the Android device and the Android Wear AVD is paired up, all the notifications received in the Android device are shown automagically in the Wear AVD. Following are some of the cool screenshots from the Android Wear Watch. 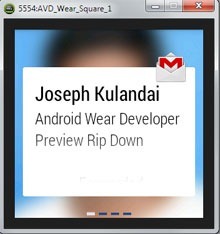 Android developer preview has given a set of examples to achieve above in Android Wear platform. I will write about those examples in the next tutorial and subsequently write tutorials about how to Android Wear enable our own applications. 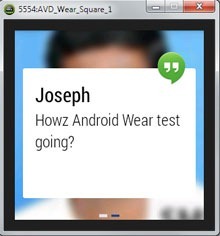 Comments on "Android Wear Getting Started Tutorial"
Nice information to start work with android wearable devices. Thank you. Just today I read an article on Android wear in tech news and now I found a tutorial for it. Awesome…. you rock!! Thanks, try this out and post your experience. Super! Nice to see the quick article to kick start on Android Wear. For sure, Google is driving innovation in web and hand held devices. Now it is wearable devices. Wondering Google may extend the scope of Androidification of the devices… For sure Android is going to be major player in IoT(Internet of Things）. Future is going to be exciting! Emulator for Android Wear platform is fine but as stated by Google / Developer preview the app that will communicate with Wear is not compatible for emulator. This is as of the moment but very soon they will release apis for that too. Man you have exactly reflected my thoughts. We love Google. Wow great, this is what I want and makes me ecstatic. Enjoy. 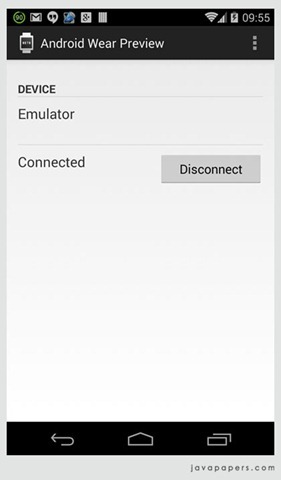 I am not able to connect Android Wear Emulator with my device.I have HTC One device which has 4.4 (KitKat OS). But, when I execute the line adb -d forward tcp:5601 tcp:5601 through command prompt,nothing happens.Android Wear emulator does not show device connected. Note : I am able to launch the Android Wear Preview app successfully in my device and Notifications settings is also enabled. My question is do we need to use same value “5601” ? Also, where is the application “Android Wear Preview” in PLayStore? Can you post the link. Wow can’t wait to get started. Wow. Nice insight into the future. Thanks. Great tutorial buddy Thanks A lot…. Very nice article… Thank you. Please, soon post how to create apps for android wear…! is it possible to read the data of the sensors in the watch from the mobile ? Nice tutorial to kick start the Android wearable.Please post few more tutorials in this section. waiting for your next tutorial.thanks in advance. Comments are closed for "Android Wear Getting Started Tutorial".